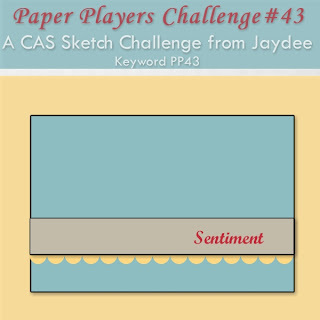 Today I entered this card in ‘THE PAPER PLAYERS’ sketch challenge. 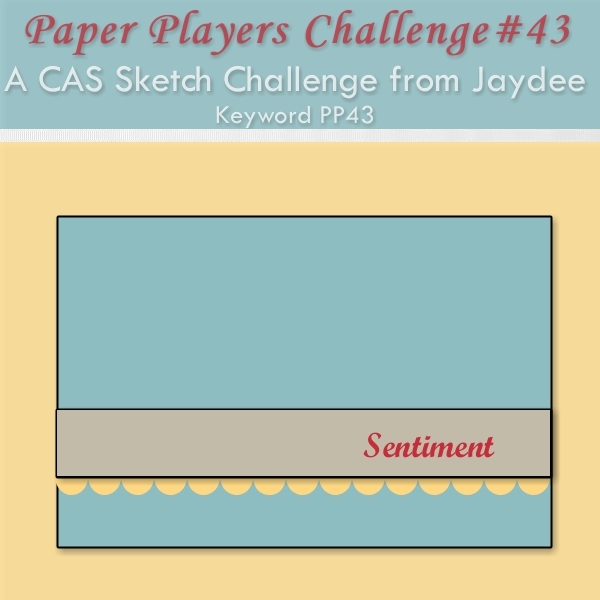 This clean and simple challenge was from one the of their Design Team Members…Jaydee. I do want to share that I used wired ribbon on this card. It was easy to do and came out on the first try! One thing for sure with C&S cards there’s not a long list of supplies needed. Nor not a lot to say about the card. BUT I do have to say they are not as easy as you might think. Just a quick post today……getting geared up for the Holiday weekend. I sincerely hope that a GREAT Holiday is enjoy by all. I’ll see you all on Monday!!! You have made this look easy but I know what you mean...it can sometimes be more difficult creating a CAS card!! 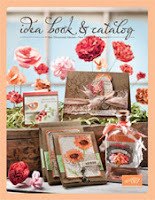 I love the focal point and the embossing across the top! So happy you joined us this week at the Paper Players! Absolutely stunning, Linda! I love the floral focal point...a masterpiece! The embossing is the perfect touch! I love the focal point. Simply stunning. Linda, you are so right... sometimes CAS are really difficult. Getting the right amount of detail and still keeping it restrained can be tough. You made it look SO easy. This card is stunning. It's all about the focal point and the focal point had me looking, and looking, and looking. Each time I noticed something different. Oh my. What a gorgeous bouquet. Stunning! Thanks for joining us this week at the Paper Players! How pretty! What a gorgeous focal point! Thanks for playing with the Paper Players this week! Simply gorgeous Linda! Love the dimension your card has! Never thought to use wired ribbon ... great idea and an awesome look! I love all the elements you've gathered together for your focal point. It's got great color and fabulous dimension! This is a gorgeous CAS card! I love the focal point you created on this. Thanks for joining us at Claudia & Co.